I met Betty Buckley the other day. Nancy Allen, too. OK, it was only on Twitter. But I was as starstruck as poor Carrie White at the prom. 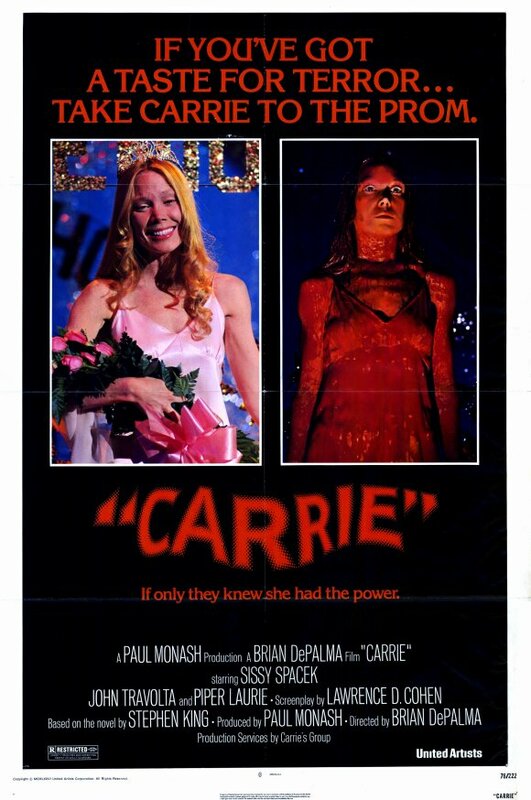 In the classic 1976 horror movie “Carrie,” Buckley played the gym teacher sympathetic to picked-on Carrie (Sissy Spacek), and Allen was the Original Mean Girl who rigged that awful prank with the pig blood. I love “Carrie” and both of them in it. It’s a great movie, I’ve seen it a thousand times and I can quote the firecracker dialog between the two. and, last fall, a movie remake that didn’t make much of a splash. The story’s power continues because of its universal appeal of the teen-age outsider taking revenge, of course, but also because of powerful subtexts about religious oppression and — if you want to go there — young women’s emerging sexual power illustrated through the motif of blood, first menstrual, then destructive. Continuing into the deep end, I add the gay subtext, which is one of the reasons it’s always resonated so deeply with me. What gay kid couldn’t identify with Carrie, whose religious parent literally locks her in a closet and suppresses her sexuality so thoroughly that it explodes in uncontrolled adolescent bursts — and who then gets to go to prom with the cutest boy in school … and kill all the creeps who made her life hell? More than the novel or even just the bare bones story, it’s the original movie — as a cinematic tour de force by DePalma, Spacek and the rest of the cast — that most cemented “Carrie” in our collective consciousness. And Buckley and Allen were instrumental in that for me — as a young movie lover and as a young gay male. In the movie, just before bloody hell breaks out, Buckley tragically tries to safeguard Carrie but unwittingly allows Allen to fulfill her meanness and dump a bucket of blood on the girl, whom she has falsely elected prom queen. As everyone in the world knows, Carrie uses her psychic superpowers to burn down the school and kill just about everybody. “Carrie” is supposedly a horror film, but for me it’s heartbreaking. Every time I see it, the movie lulls me into believing that this time, Carrie’s fairy tale will end beautifully. But every time… cruelty, heartbreak, humiliation. A few days ago on Twitter, someone I follow tweeted something about Buckley’s role. I replied with another piece of “Carrie” trivia. And Buckley retweeted it, sending me into, well, a twitter. I thanked her and replied with a crack about how cool it would be to hear from Allen — and I did! More twittering ensued, and I resisted the urge to ask them both a bunch of questions like the ‘70s movies geek that I am. Today’s celebrities are all over social media, of course, like Ashton Kutcher and Katy Perry. And good for them — or anyone using these tools to connect with friends, family, customers, fans or whomever. But I’ve never been one to follow celebrities online. This was my first (and second) “brush with greatness” on social media, the equivalent of saying hello with a smile at the supermarket, and a total surprise. Plus, I picked up a few dozen new followers from all the retweeting. Thanks, ladies. For a few minutes, you made me feel like a real movie queen. 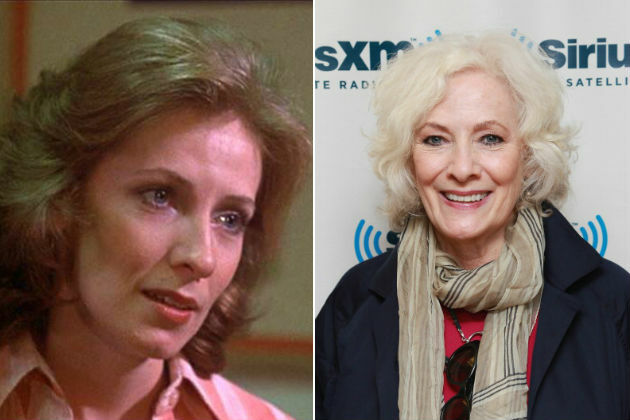 This entry was posted in Entertainment, Social Media and tagged Betty Buckley, Carrie, Movies, Nancy Allen, tweet, Twitter on March 27, 2014 by Jay Croft.